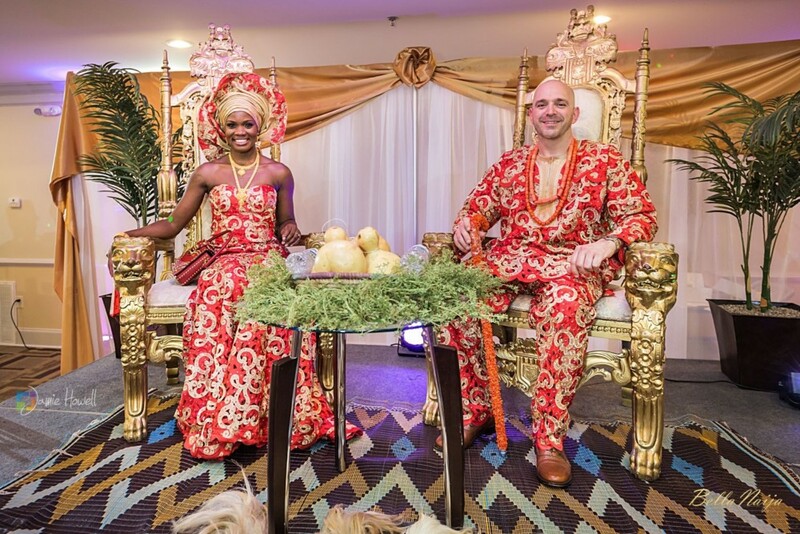 Vivian and Jeremy began their two-day wedding celebration at the Grand Royal Events Center in Decatur, GA. 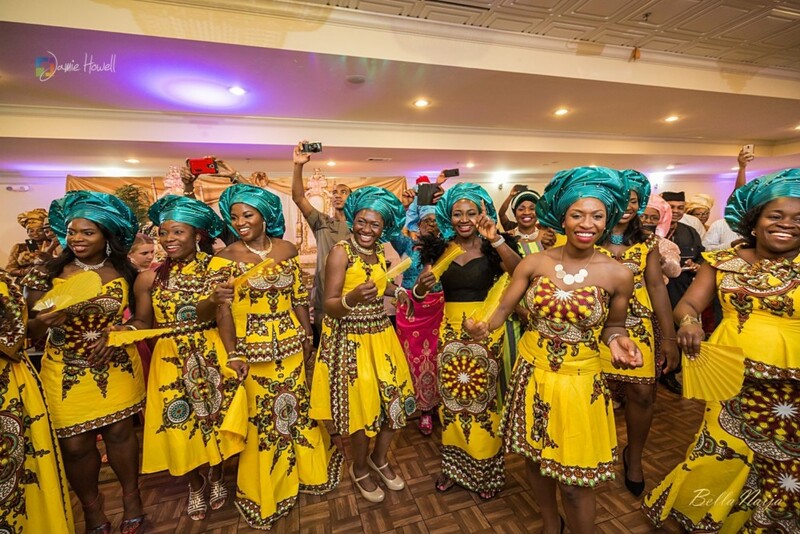 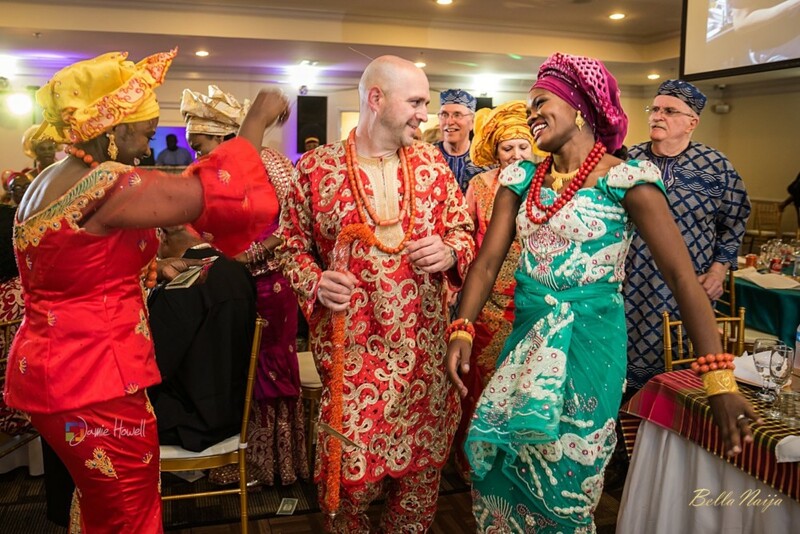 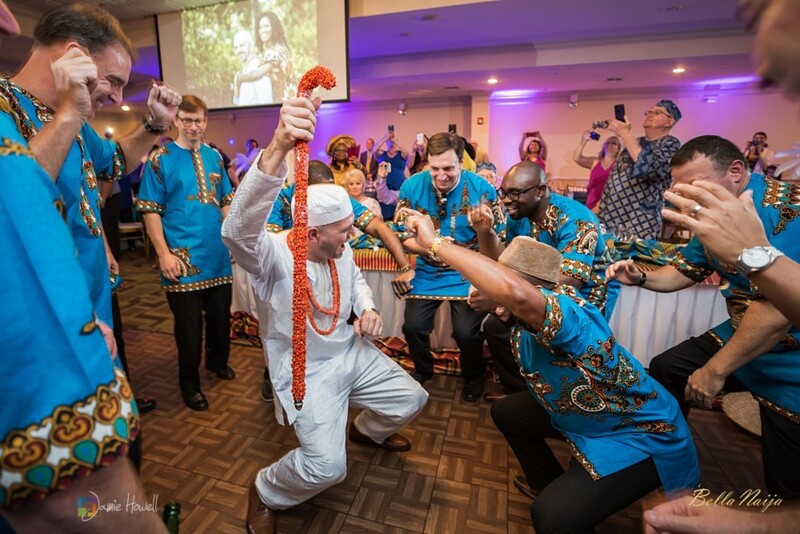 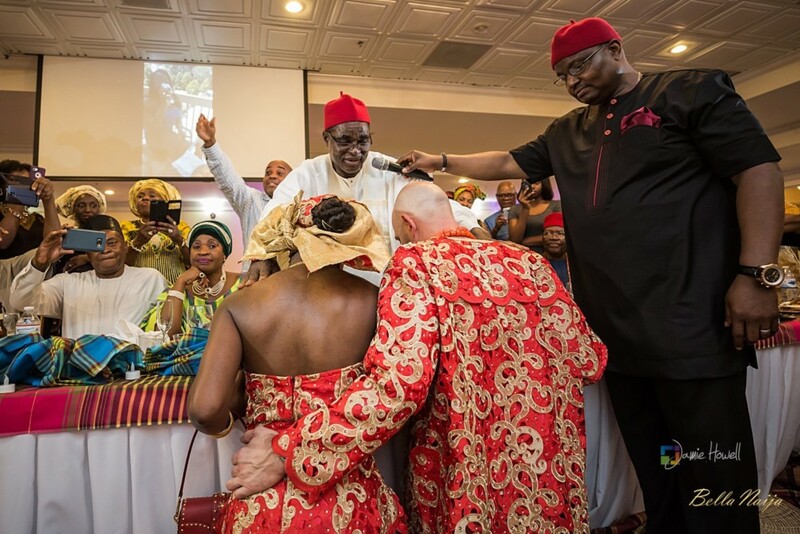 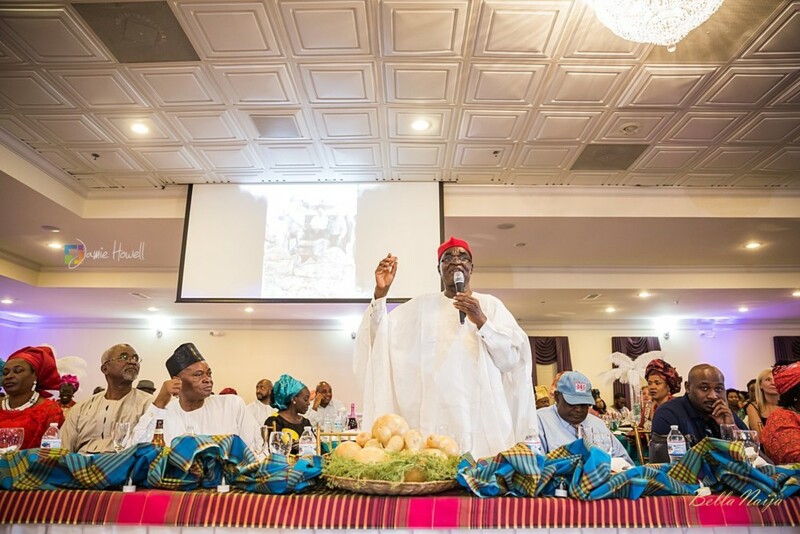 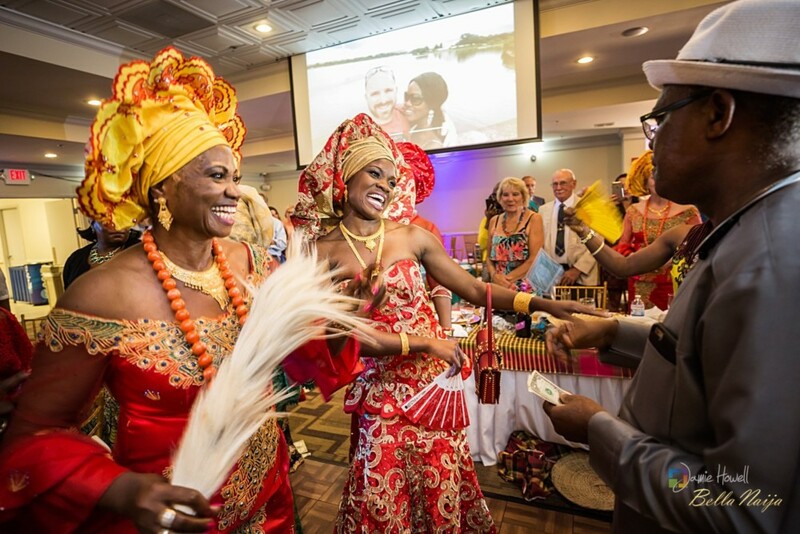 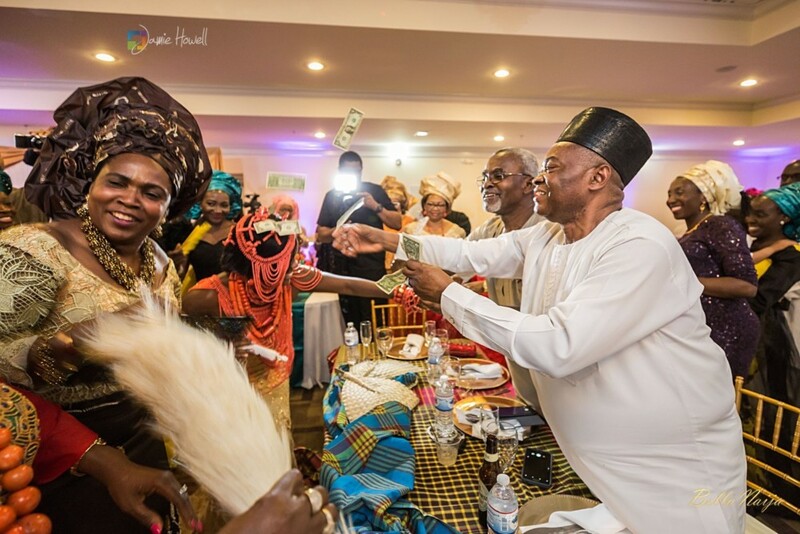 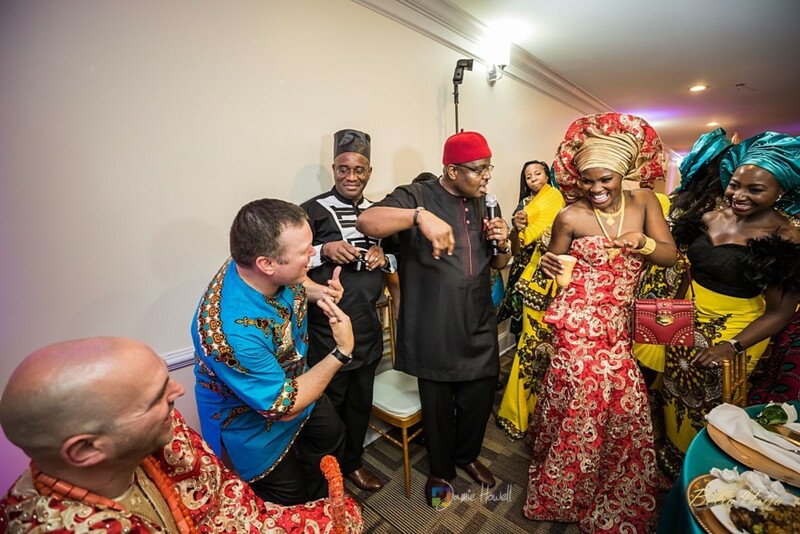 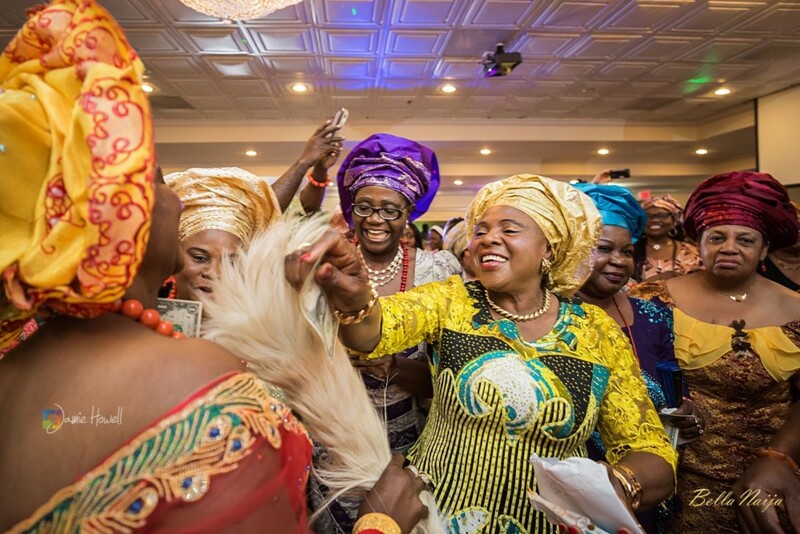 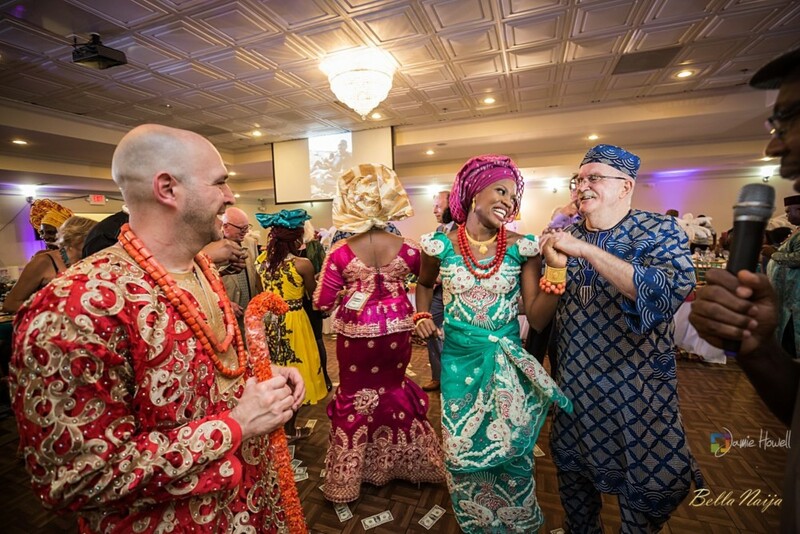 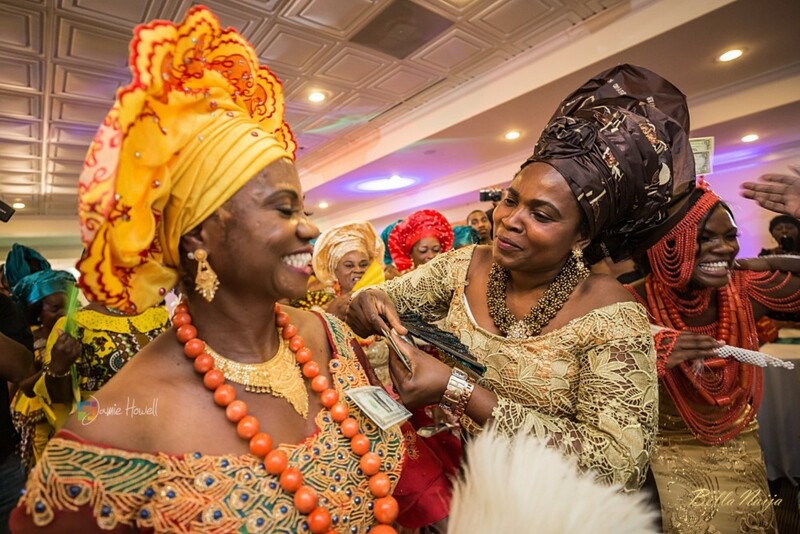 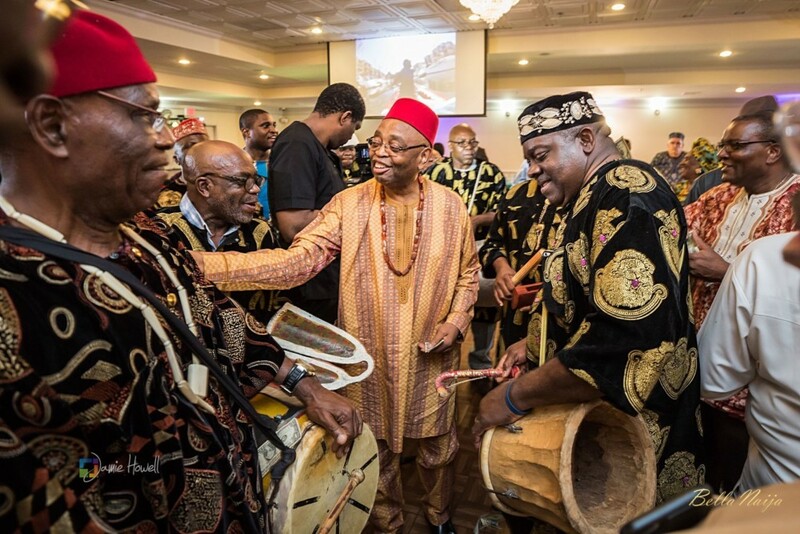 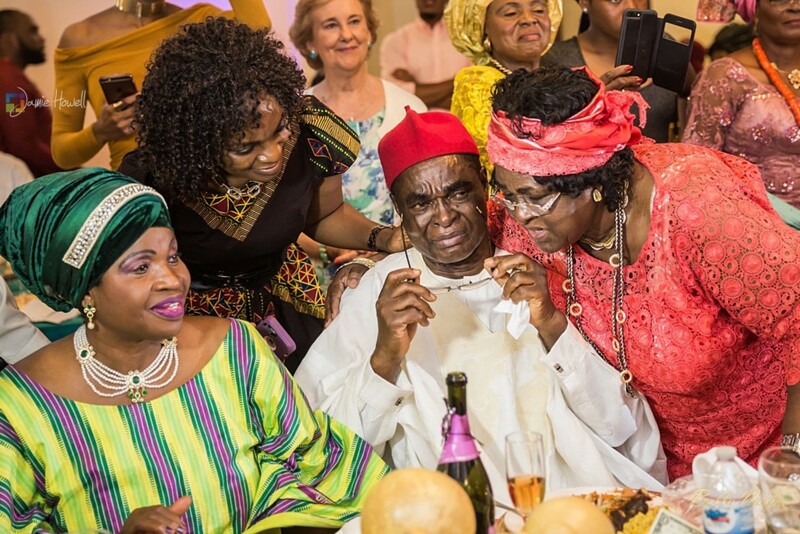 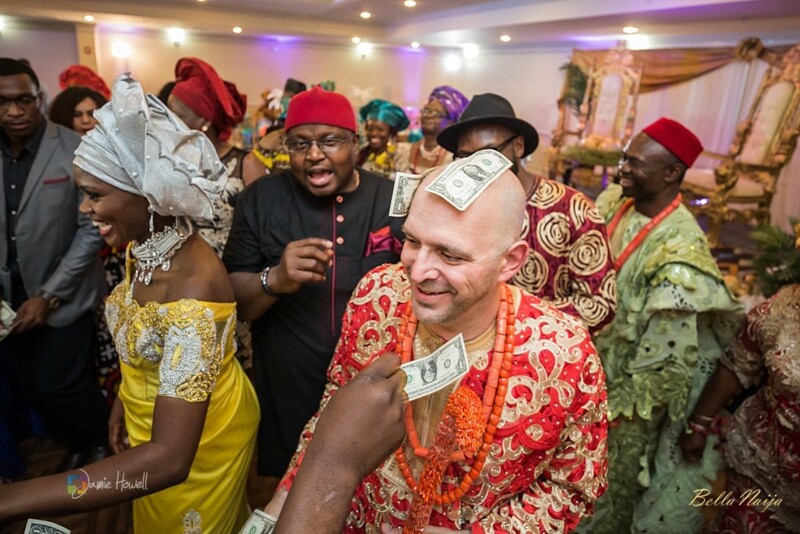 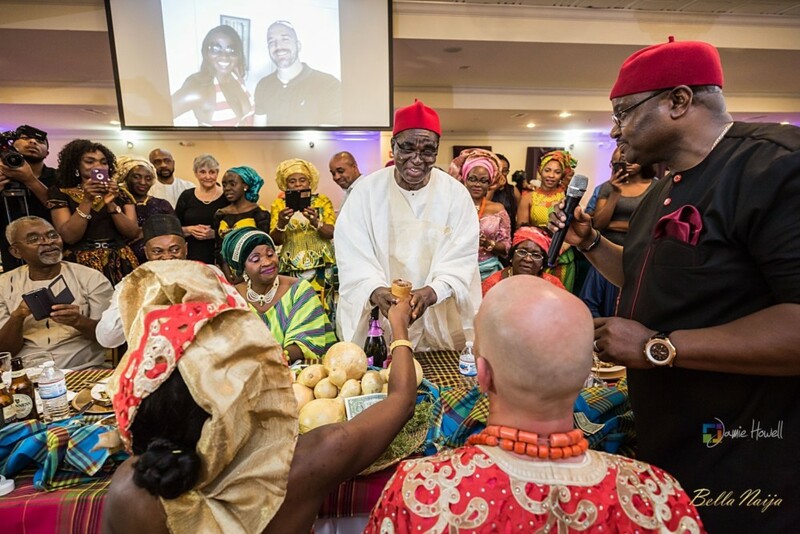 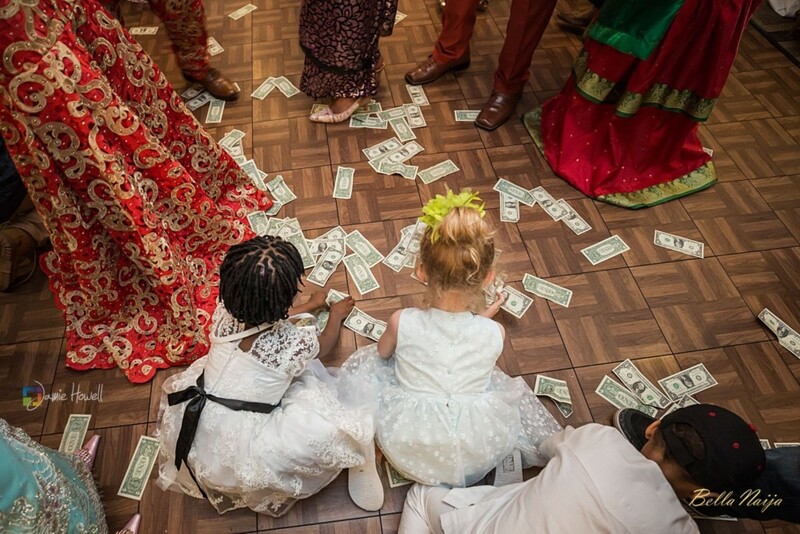 They danced the night away and mingled with guests in their vibrant Nigerian attire. 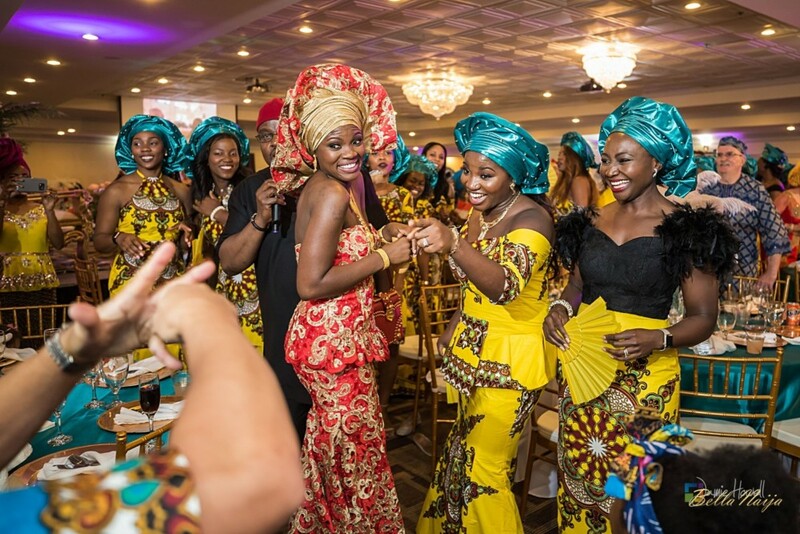 From red to gold to turquoise to yellow, Vivian rocked four outfit changes and every one of them was stunning. 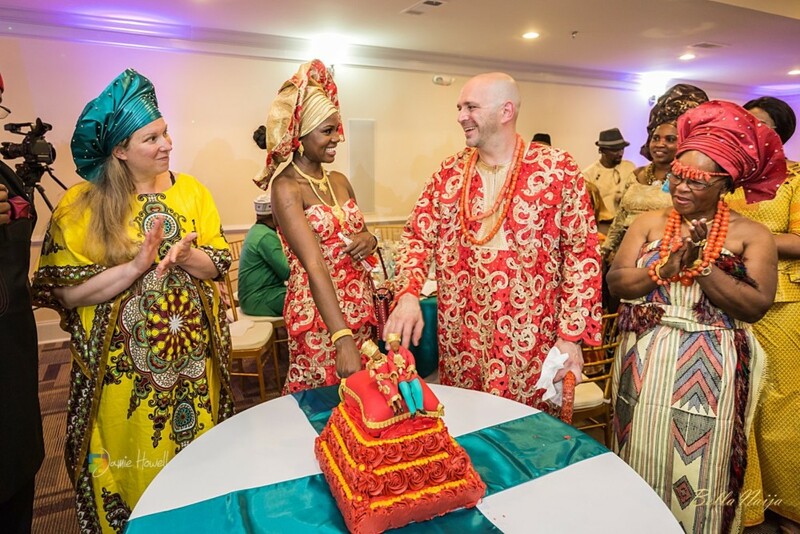 Jeremy’s outfit changes also matched his wife’s in traditional Nigerian style and was beautifully planned by the talented Love from Mwai. 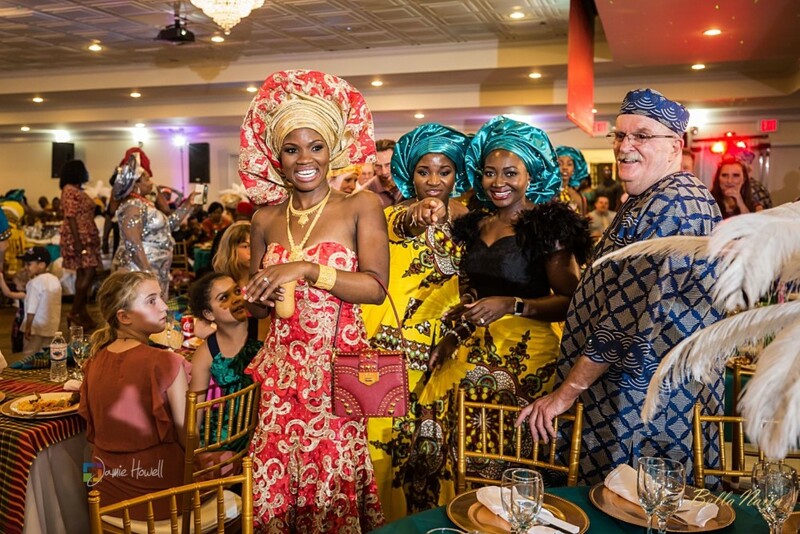 Not a picture was taken without the bride and groom smiling from ear to ear and happiness and excitement radiates from every image captured of the event. 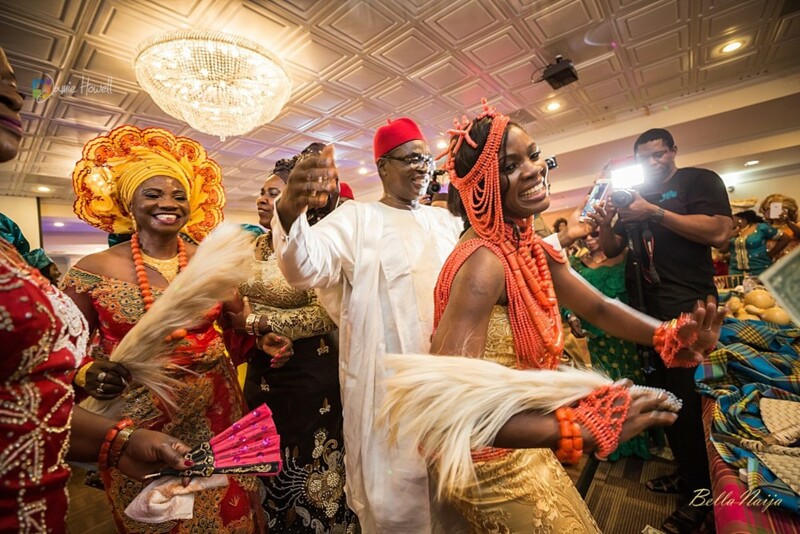 The room itself was electric and every aspect of the ceremony exhilarating. 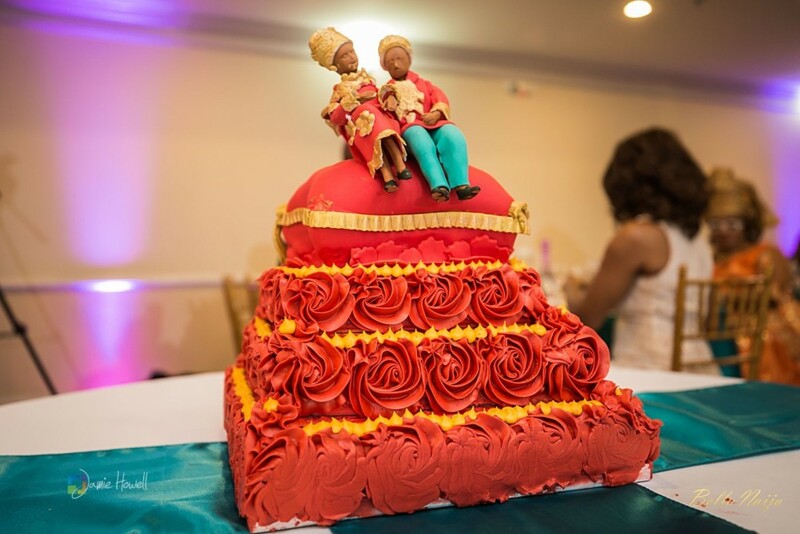 The food, decor, and accessories were rich in colour and culture. 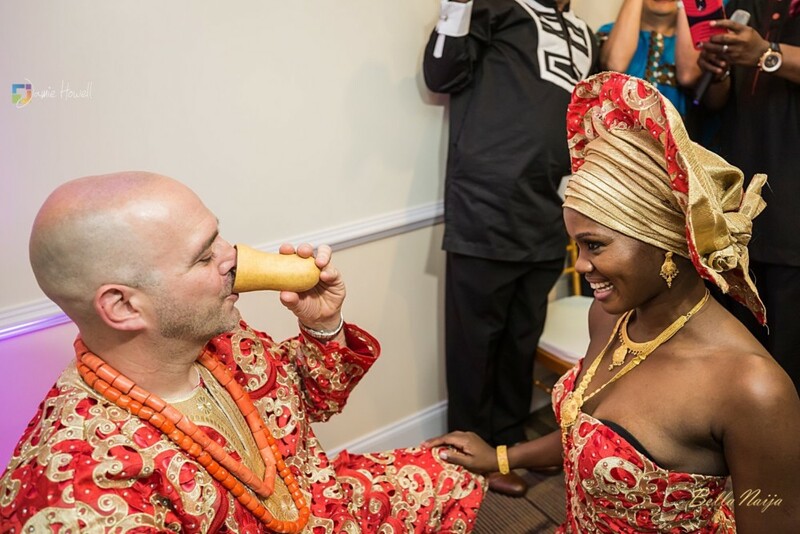 Following day one of the celebration, Vivian and Jeremy said “I do” in traditional Western wear – with a white gown and striking black tuxedo at Christ the King’s Cathedral in Atlanta, GA for their church ceremony. 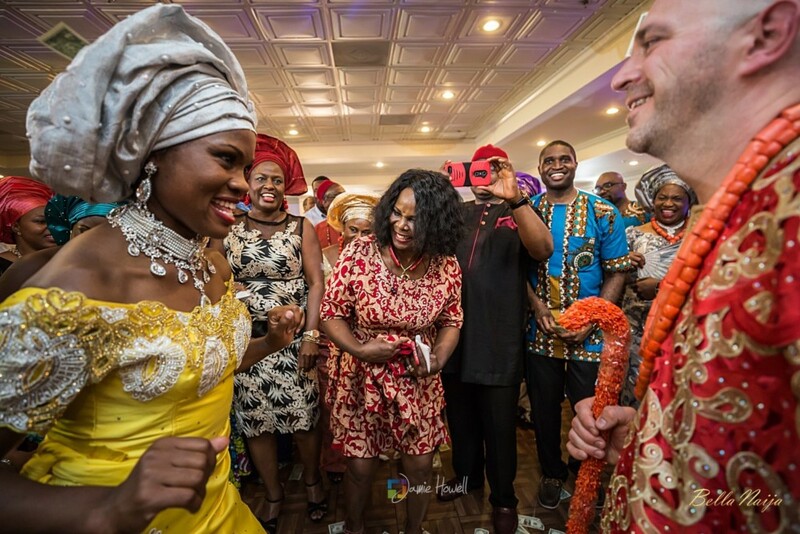 Everything from Vivian’s regal off-the-shoulder gown to sparkling shoes to heirloom quality jewellery accentuated this bride’s piercing smile and eye-catching beauty, after which they had their reception at the Grand Hyatt Buckhead Hotel. 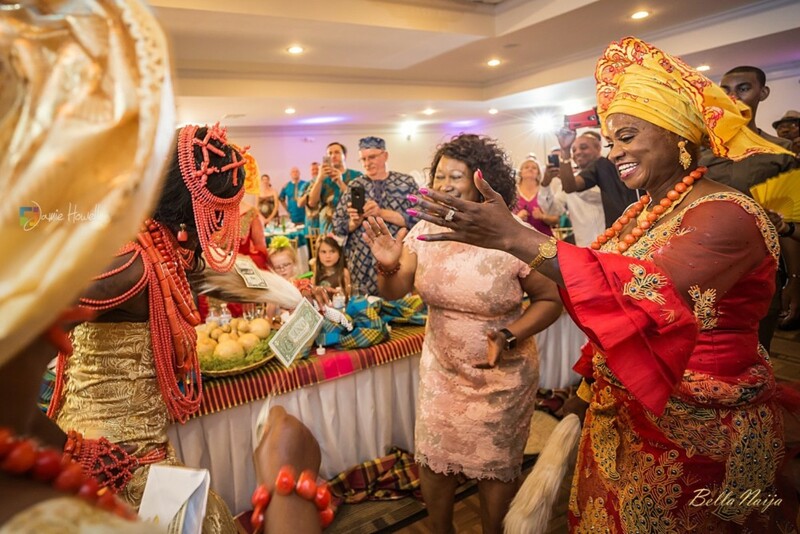 We love seeing how this couple incorporated their heritage and culture into their two-day wedding ceremony.